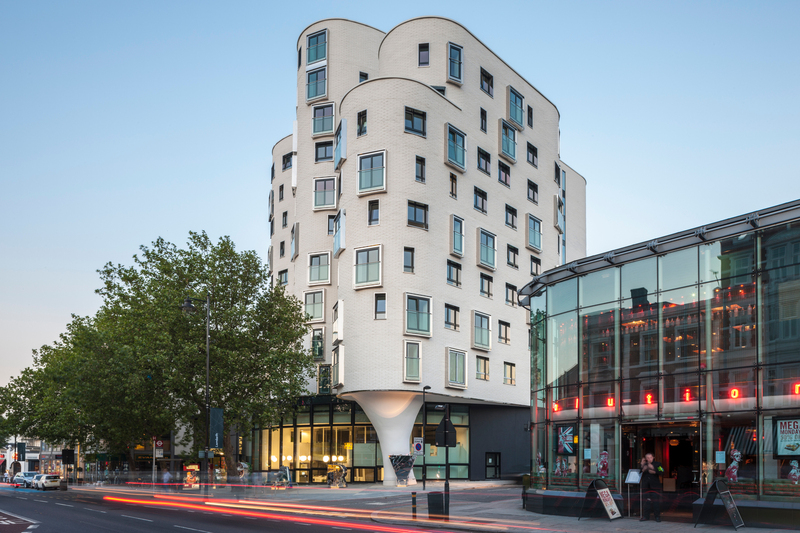 The Clapham One scheme was a multi-award winning mixed-use development providing over 150 residential units across a mixture of private and affordable tenancies, a leisure and healthcare centre and a state-of-the-art library. The development comprises a cluster of mid-rise towers surrounding public spaces with the 18,000 sq ft library arranged around a dramatic triple height space. We carried out design for this mixed-use scheme engaging with the London Borough of Lambeth as well as developer Cathedral ( now U+ I) to achieve the highest environmental credentials, with the residential component achieving Code for Sustainable Homes Level 3, the healthcare centre design achieved a NEAT Excellent rating, and the library achieving a BREEAM Very Good rating . The design also accommodates a central Energy Centre to take full advantage of the differing energy profiles from the various building uses to help improve energy efficiency and operational costs.